Glary Undelete is a free, simple but powerful free data recovery tool to help users undelete files and restore deleted files or lost files. It can recover files like images, audios, videos from local disks or external storage devices quick and easily. 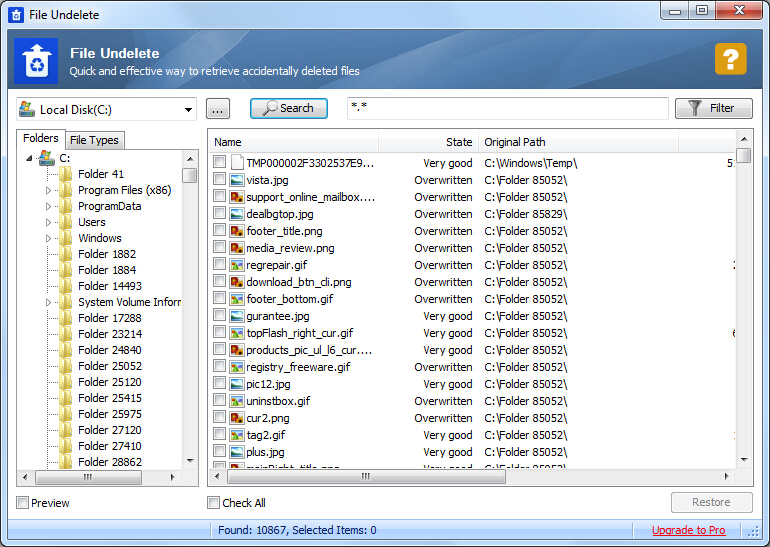 Glary Undelete supports multiple file system ie NTFS + EFS, FAT, NTFS. Moreover, it is able to recover files that the user has compressed or fragmented or even encrypted on NTFS file system.